Every day we empower athletes to shatter stereotypes and exceed their personal bests on the playing field and in life. But for every Special Olympics champion, there is another who is waiting for a chance to win. Please donate and help us get one more athlete onto the playing field. Special Olympics training and competitions happen every day. Your monthly gift will make a difference all year long. Special Olympics transforms lives through the joy of sports. Donate now and help us reach out to one more person. Download a printable donation form and follow instructions for mailing. Your fundraising campaign will help Special Olympics transform more lives through the joy of sports- every day, everywhere. Download our easy-to-use PDF form. 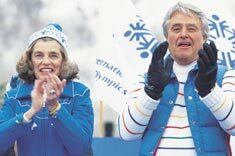 Consider including Special Olympics in your estate plans and make a lasting impact. In all that we do, Special Olympics strives to create a better world through acceptance and inclusion. Provide dependable funding for our year-round programs. 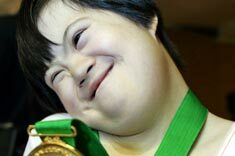 Celebrate a friend or pay tribute in memory of a loved one with a donation to Special Olympics in their name. Learn more about charitable giving accounts. Frequently asked questions about supporting Special Olympics. A gift of $35 can help train an athlete for an entire season. Help us reach one more person. Since 1968, Special Olympics has been offering women, men and children with intellectual disabilities year-round training and competitions in Olympics-style sports. Our more than 32 individual and team sports- from Alpine Skiing to Volleyball- provide quality training and well-matched sporting events. Win or lose, the goal is always to be brave in the attempt!